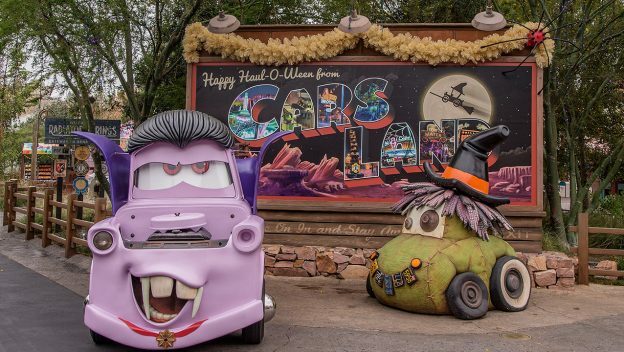 ANAHEIM, Calif. – Halloween Time at the Disneyland Resort returns for more spook-tacular days than ever this year, enchanting guests of all ages with frightfully fun experiences themed especially for the season, from Sept. 7 through October 31, 2018. The guest-favorite Mickey’s Halloween Party* returns with select nights of after-hours fun. 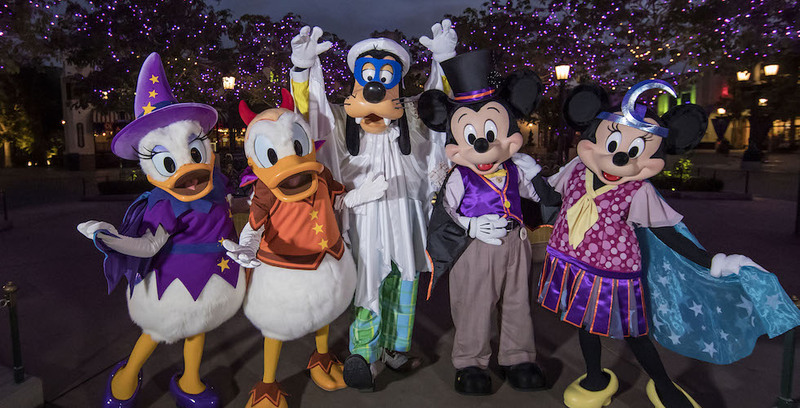 This separate-ticket event features some exclusive entertainment, Disney characters in their Halloween attire, trick or treating at locations throughout Disneyland Park and a chance for the entire family to visit the parks after hours in costumes. A spell will be cast as guests enter Disney California Adventure park to celebrate the season. Oogie Boogie takes over with his twisted tale of a forever Halloween, inspired by “Tim Burton’s The Nightmare Before Christmas.” Oogie Boogie’s oversized silhouette will beckon guests through the main entrance of the park, and hover over a swarm of bats that circle around Carthay Circle Restaurant and Lounge. Guests will encounter Lightning McQueen, Mater, Cruz, Red and DJ in “car-stume” as they get ready to go “trunk-or-treating.” Popular Cars Land attractions transform as well: Mater’s Junkyard Jamboree takes on a spooky tone as Mater’s Graveyard JamBOOree, and Luigi’s Rollickin’ Roadsters gets a seasonal twist to become Luigi’s Honkin’ Haul-O-Ween. The Halloween magic continues at Disneyland park, where guests will enjoy beautiful décor on Main Street, U.S.A., including a giant Mickey Mouse jack-o’-lantern and a Pumpkin Festival. Additionally, to commemorate the Mexican holiday of Day of the Dead, guests will encounter the colorful Día de los Muertos tribute in Frontierland, an exhibit that features a musical trio of iconic skeleton figurines, brightly colored flowers and other decorative items. 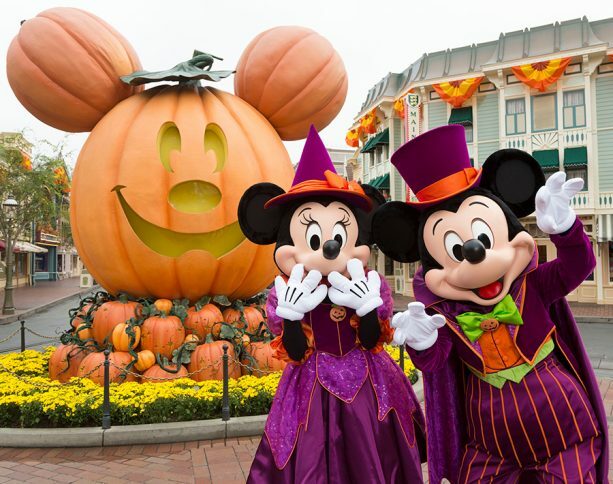 Mickey’s Halloween Party is an after-hours, separate-ticket event, where guests may dress in costume and have the opportunity to trick-or-treat throughout Disneyland Park for candy and healthy goodies. Mickey’s Halloween Party also includes special entertainment, classic attractions and the added bonus of unlimited Disney PhotoPass digital downloads of photos taken during the event**, making it easier than ever to capture memories during the party. Mickey’s Halloween Party tickets may be purchased online and on mobile devices at Disneyland.com/party as well as at the Disneyland Resort main gate and by phone at 714-781-4400. Some nights may be sold out and guests may check availability at Disneyland.com/party. Online and mobile purchases are not available the day of the event. Parking is not included in the ticket price, and parking fees will apply. Mickey’s Halloween Party is a non-smoking event. *Mickey’s Halloween Party tickets are subject to availability and are valid only for specific event dates and hours. Space is limited. Limit eight (8) tickets per person, per event date. Tickets are nonrefundable and may not be resold. Costumes subject to Disney guidelines at https://disneyland.disney.go.com/events-tours/mickeys-halloween-party/ and should not be obstructive or offensive. Ages 2 and under: no ticket required. Entertainment may be cancelled due to inclement weather or otherwise. Subject to restrictions and change without notice. Jack Skellington and Haunted Mansion Holiday are inspired by “Tim Burton’s The Nightmare Before Christmas.